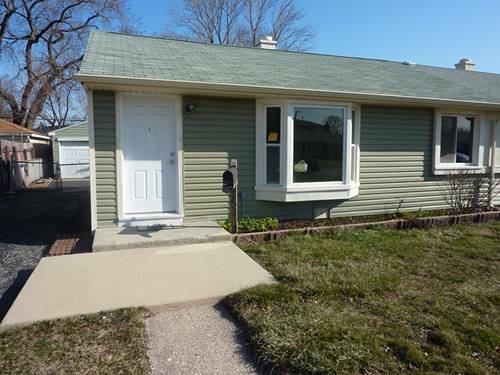 Nice ground-level half-duplex in Hometown! 2 bedrooms, 1 full bathroom, large kitchen with room for a breakfast table, 1 car detached garage, private backyard. Freshly painted, new floors, close to schools, shopping, public transport. Credit score of at least 650 desired. Monthly gross household income should be at least three times the rent. Credit and background checks for all adults intending to occupy the property will be run by listing agent. Non-refundable fee of $30 per person applies for this service. Well-trained pets allowed with additional non-refundable pet deposit of $250 and monthly fees of $50 per month per pet. Max 2 pets are allowed. Tenant pays all utilities - electricity, heat and water. Non-smokers only, please. For more information about 4622 W 90th, Hometown, IL 60456 contact Urban Real Estate.